It crept up on me! 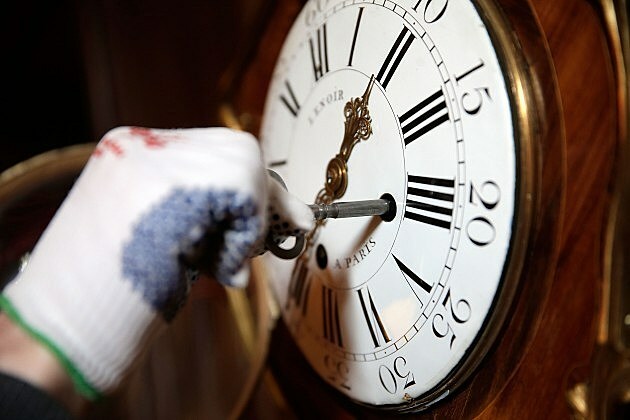 In the United States (not talking to you Hawaii, Arizona, and parts of Alaska), we will “Spring Forward” March 9. That means that if bedtime is now at 7 PM, it will feel like 6 PM when your child is going to bed. And if waketime is 7 AM, it will feel like 6 AM to your child. Springing ahead is usually easier than falling back for young children. 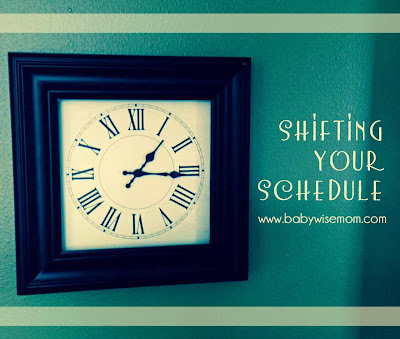 If you want to be more prepared, you might want to start shifting your schedule now. At our house, we have been staying up late each night watching the Olympics, so our first step will be going to bed at the right time! So thankful for this resource! My daughter is almost 17 weeks old and regularly wakes between 4 and 5:30am to eat (one side). She is going to bed between 7 and 8pm with a dreamfeed between 10 and 11pm. The problem is that when she eats in those wee morning hours, she isn't hungry when she wakes up in the morning (between 7 and 8am), so that throws off the schedule. She has slept through the night a handful of times, just not consistently. What do you suggest? Hi Val,I am so thankful for your blog! As a first time mom with a 7 month old, I refer to your advise very often. My 7 mo. old daughter has never been a good napper (in my opinion). She has consistently napped for 30 min. Recently, I noticed she would wake after her sleep sheep (white noise) cut off after 45 min. So I now have an ocean sounds that continue through her whole nap. We also just moved to a 4 hour schedule about a week ago. I felt she was ready to do 4 hours with the exception of sleeping through the feeding (since she only naps for 30 min.) The first several days of the 4 hour schedule she napped great. 1.5-2 hr for morning nap and 1.5 hr for afternoon nap. I thought my problem was solved. Now she is back to sleeping 30 min -1 hour. She is also waking about 5:15 am and I let her stay in her crib til 6 and then nurse. At 7:45 I do our nap routine and she is usually in her crib by 7:50. Her afternoon nap is at 12, and she is asleep by 6 pm. My goal is to have her wake at 6 am, bed at 6pm, and about 2 hour of wake time. When the time change happens, I don't plan on keeping the same time, 6am now will be 7 am. So after the time change, it will be 7 am wake, naps at 9 and 1, 7 pm bedtime. I am not sure what I have done to create her napping issues but I am so discouraged. I honestly feel I have tried everything from blackout curtains, white noise, shorten /lengthen wake times. How long should I try a new strategy before determining it doesn't work? Also, how do I change her morning wake time? I am concerned she will continue to wake an hour early after the time change. Thanks for your help! !